Created to meet strict requirements for professional playing cards. 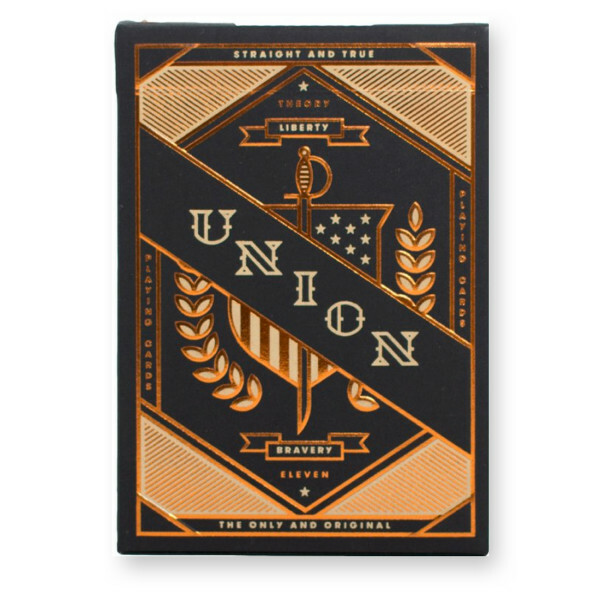 Features a box made of copper foil, inspired by the Union's values like Freedom, Hope and Independence. Designed by Jay Fletcher and produced in Las Vegas.